In this latest Leading Change, Adding Value blog, Sharon Blackburn, Policy and Communications Director for the National Care Forum and Graham Woodham Programme Head at Skills for Care for Regulated Professional Workforce discuss how Leading Change, Adding Value supports the unique and key contribution of nursing and care staff working within the social care sector. Adult social care is a growing sector that, in 2017, had around 21,200 organisations and 41,000 care providing locations. Some 42,000 registered nurses and an estimated 830,000 care workers form part of a workforce of around 1.6 million jobs (The state of the adult social care sector and working in England, September 2017). As we move towards greater integration, it is vital that the vitally important contribution those nursing and care staff colleagues make to managing the complex care needs for thousands of people every day is recognised. A central product of Leading Change, Adding Value is the Atlas of Shared Learning – a growing collection of case studies that clearly illustrate and quantify the contribution of nursing, midwifery and care staff in demonstrating the delivery of the Five Year Forward View (FYFV) and other national, regional and local policy initiatives. Within the Atlas we are delighted to see an increasing number of case studies demonstrating nursing and care staff leadership in the social care sector. It is inspiring to read case studies such as the work of the Senior Learning Disability Nurse (SLDN) and Senior Nurse Specialist in Palliative Care from the Hertfordshire County Council Community Learning Disability Nursing service addressing unwarranted variation in end of life care for people with learning disabilities through the education of staff and adapting the end of life model used in care homes. Since attending this gym I have found great improvement in my mobility and hope to continue to do so, from a very grateful 96 year old lady. Another example is at Castle Supported Ltd, a charity providing personal care to adults with a learning disability living in their own homes. Recognising unwarranted variation, care staff at the organisation engaged with people who have learning disabilities to introduce co-production to further develop and improve services. The programme has led to improved outcomes, experience and better use of resources. These example case studies not only demonstrate the quantifiable contribution and leadership of nursing and care staff within the care sector, they also highlight the complexity of care delivered to a range of individuals, in a range of settings.However, there is more to do so we can further demonstrate this crucially important leadership, impact and contribution. We would therefore encourage you and your colleagues to visit the Atlas of Shared Learning and consider submitting your work as a potential case study. Sharon Blackburn CBE, RGN RMN, has worked in the independent care sector for over 28 years, having previously spent 10 years in the NHS in a variety of roles. She has held the posts of director of nursing and director of quality assurance in one of the largest UK care providers and was the managing director for Heart of England Housing and Care until 2009. 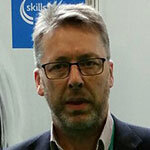 Graham Woodham is Programme Head for Regulated Professional Workforce at Skills for Care. He is personally involved in work involving the nursing, social work and occupational therapy workforce and leads a team which provides support, information, guidance and resources for employers of these professional groups. The team is currently working a range of projects supporting nursing in the care sector including a nurse leader’s programme, return to practice and a statement of role, knowledge and skills. Graham’s work at a national level involves advising, influencing and supporting the implementation of a range of strategic policy initiatives including the development of the Nursing Associate role working closely with the DHSC and HEE. In 2016 Graham worked in partnership with NCF (National Care Forum) in producing a discussion and good practice paper: Stimulating debate on the distinctive contribution of nurses to adult social care. Originally trained as a social worker Graham has been involved in a number of aspects of the recent national social work reform process, including the development professional standards and the Assessed and Supported Year in Employment (ASYE) for newly qualified social workers. He was formerly a social worker and team manager in Community Mental Health Teams in Essex, and was also mental health and social care training manager with the same authority. His practice experience included 10 years as an Approved Social Worker (Mental Health Act), and several years working in the voluntary sector at the beginning of his career. 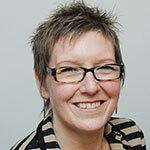 Graham also has experience in practice education and mentoring and action learning facilitation. His management experience includes planning and implementing organizational change. Since joining Skills for Care Graham held roles as Regional Development Manager in the South East and Learning Resource Network Manager in the Eastern region before moving to his current post.